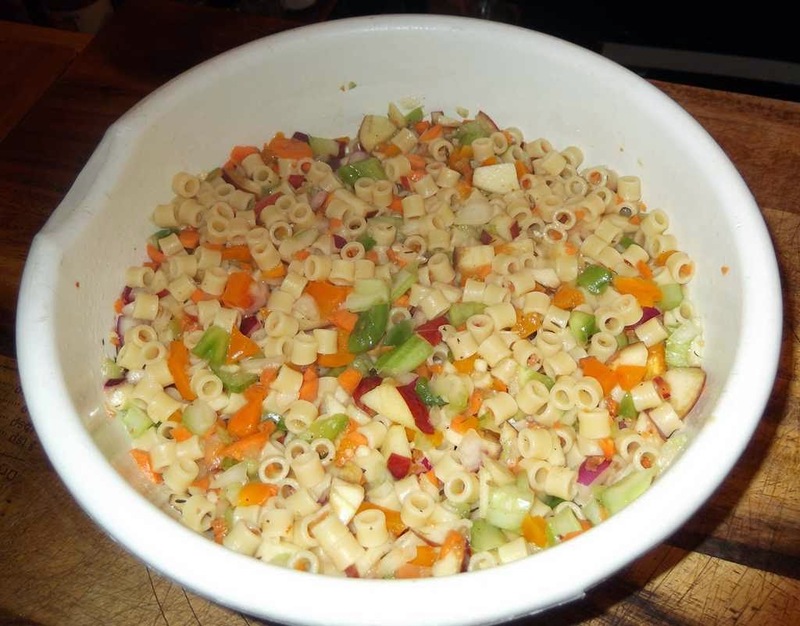 Here is a family favorite recipe for a chilled pasta salad. It is quick and easy to make, and while I list Ditalini as the main ingredient, Spaghetti, small Ziti, Penne, or any other small pasta will work. You can adjust these ingredients size to suit your family size. · Prepare pasta following recipe of package. · In a large bowl add pasta, all the veggies, and the thyme. Mix well. 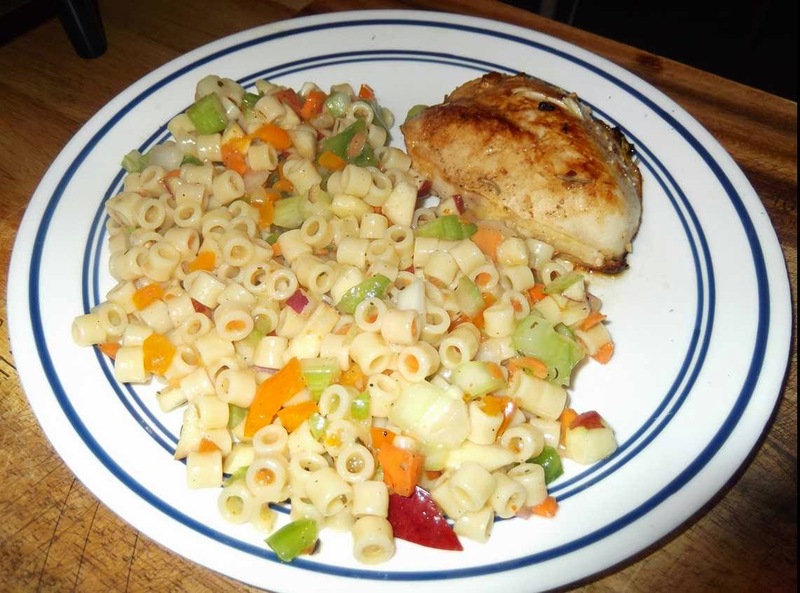 · Then add enough Zesty Italian Dressing to suit your personal taste. Remember that pasta absorbs fluids. So you might start with one cup and then add a little more dressing just before serving. There you have it, the most quick and easy pasta salad ever. I find it easy when chopping the above ingredients to chop a little extra to keep my freezer bag filled for future recipes. In addition, when my tomatoes start to become juicy, I chop them up to freeze them as well. These frozen baggies come in handy when you are in a rush to prepare a meal, or if you are under the weather and you don’t want to spend a great deal of time in the kitchen. What to do with the seeds from bell pepper and the leaves from celery? Most people would probably throw these parts of the veggies away. However, you can chop up the celery leaves and add them with the bell pepper seeds to recipes, especially the tomato based ones. You can also add them in with your freezer bag of chopped veggies.